Hey everyone, today I’m going to share my online shopping experience with this newly launched online shopping store “Aplava.com“. I do most of my shopping online and have shopped from almost every online shopping website in India (and some international shopping websites too). 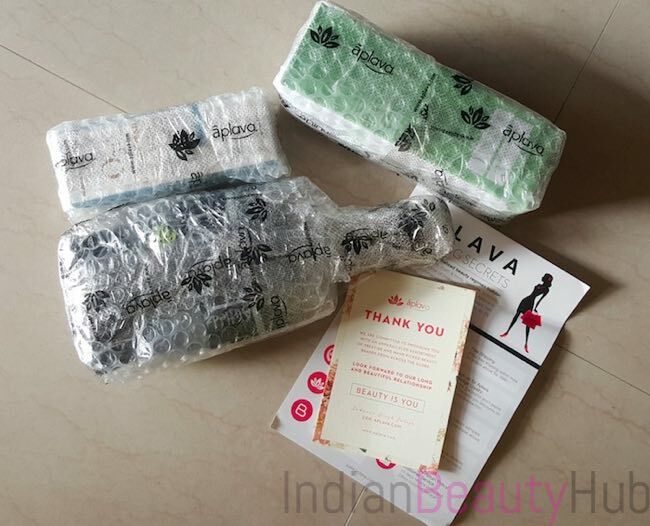 Recently I came across this new Bangalore based online store “Aplava.com”. It offers a wide range of beauty & wellness products from the local and international brands that are not easily available at offline stores or other shopping websites. What Aplava.com says: For busy women/men on the go, Aplava is a personalized beauty service tailored to your taste, budget & lifestyle that helps you look and feel your best every day. 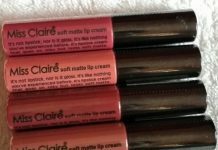 We have an impressive spread of online beauty products in India. But, we are not just any other website forcing you to pick stuff from our portal. Instead, we focus on making it a personalized shopping experience with only the best beauty products. We believe that each customer is different and has a different set of requirements. So, why should you be left in the dark while picking beauty products or personal care products? Layout: Aplava.com has very neat & clean layout design with a user-friendly interface. They offer different categories with filters to make the shopping experience convenient and fuss free. The ‘search’ option is also available at the top of every page that will help if you are looking for some particular product. Procedure: I registered myself at their website by entering my email id and password. Next step is to choose the products and add them to the cart. After that, I entered my address and made payment. They sent the order confirmation email on the registered email id and SMS on the registered mobile phone. Payment Options: Payment can be made via debit/credit cards, net banking or Amex, COD option is also available. Payment can also be done via following cash cards/wallets : PayU Money and Paytm. Delivery: Delivery was done by AM-KARTRO and I received my package within a week in Delhi NCR. 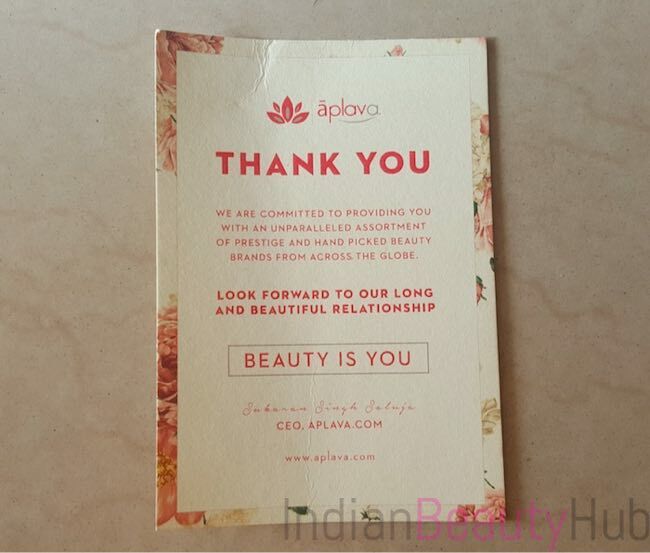 Unique Feature: One thing that makes Aplava.com stand apart from other leading online shopping websites is its ‘Personalized Beauty‘ feature in which you will get personalized recommendations from the professional dermatologists. When you log in at Aplava.com, you’ll find a “Get Started” tab on the home page. As soon as you click on that tab you’ll be taken to a page where you need to take a personal profile quiz like your skin types, hair type, etc. Once you submit your details, a new page opens with the list of products that are suitable for your skin type & hair type. Click to know more about Personalized Beauty Feature. They offer a wide range of skincare, haircare & makeup products from popular national & international brands like Dermalogica, Corioliss, Bodyography, Lakme, Just Herbs, Kent, Loreal, Vichy, SkinYoga, Maybelline, faces and many more. They offer beauty, grooming & styling products for men, women and children along with a huge collection of home fragrances. There is free shipping on all orders above Rs.999 and you will also get free samples along with your purchase. They deliver to over 4000 pin codes within India. You can make payment using credit/debit card, net banking, PayU money, Paytm and COD option is also available. Their customer care service is responsive. 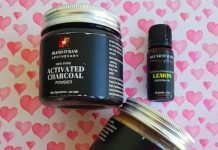 Aplava.com sells 100% authentic products. They didn’t provide any order/courier tracking details. They charge Rs.50 shipping on orders below Rs.999. What I bought: I ordered 3 products – O3+ toner, O3+ cream with SPF and Kent paddle brush. All the products were nicely bubble wrapped and came inside a sturdy carton. I will come with the detailed review of each product very soon. Click to buy these products online from Aplava.com. Overall I really had a great shopping experience @ Aplava.com. 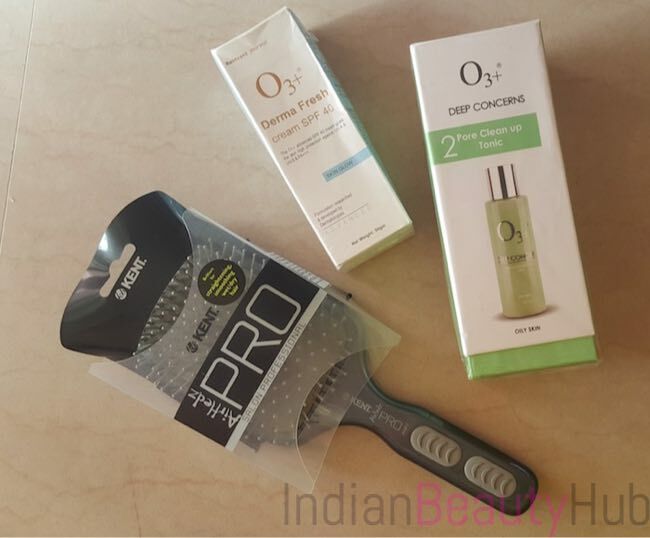 They offer a wide range of skincare, hair care & makeup products even from the brands that are not easily available in India. I will definitely recommend shopping from Aplava.com. It’s a fraud online store. I bought their product online this January. Never got my shipment nor they returned my money Rs. 1700. This company should be banned. Please be careful.